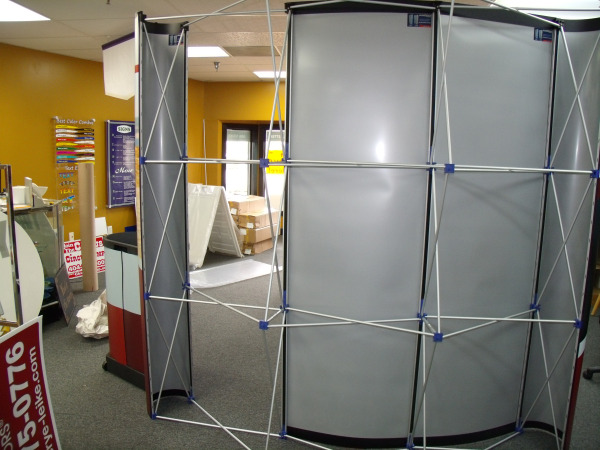 Our Pop Up Displays are available in many shapes, sizes and configurations. Most popular are the 8' or 10' wide Floor Models. 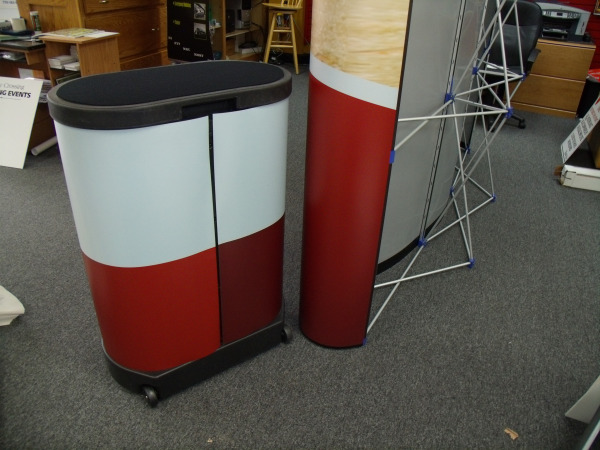 We also have 6' and 8' Table Top Models. 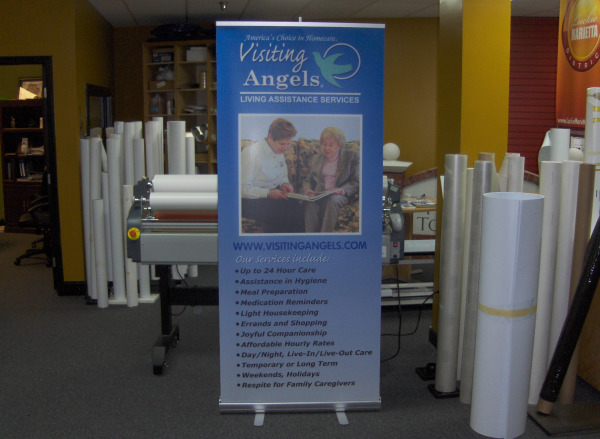 The displays assemble quickly and are easy to break down and transport. An All-in-one transit case/podium (shown on the right) holds all the display components. 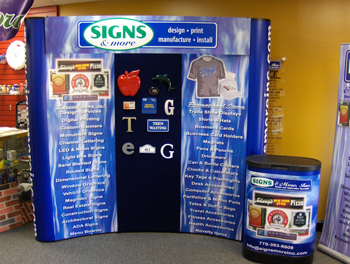 When assembled, the display uses a simple frame that "pops up" and has graphic mural panels attached to it with magnets. Panels can be mixed & matched to create one big mural or fabric can be used which is compatible with velcro to attach graphics & samples. 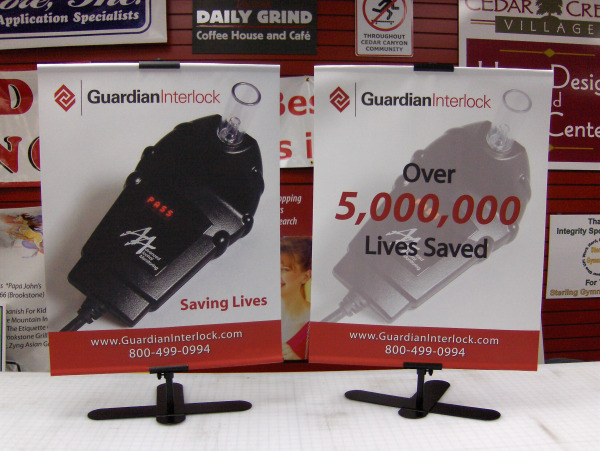 You’ll be sure to get noticed at your booth with one of our trade show displays. 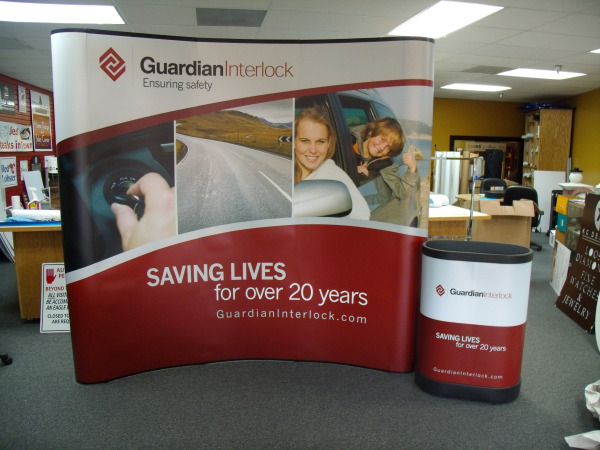 If you have a smaller booth or tighter budget, Retractable Banner Stands, Table Displays and Tri-Stands are available.